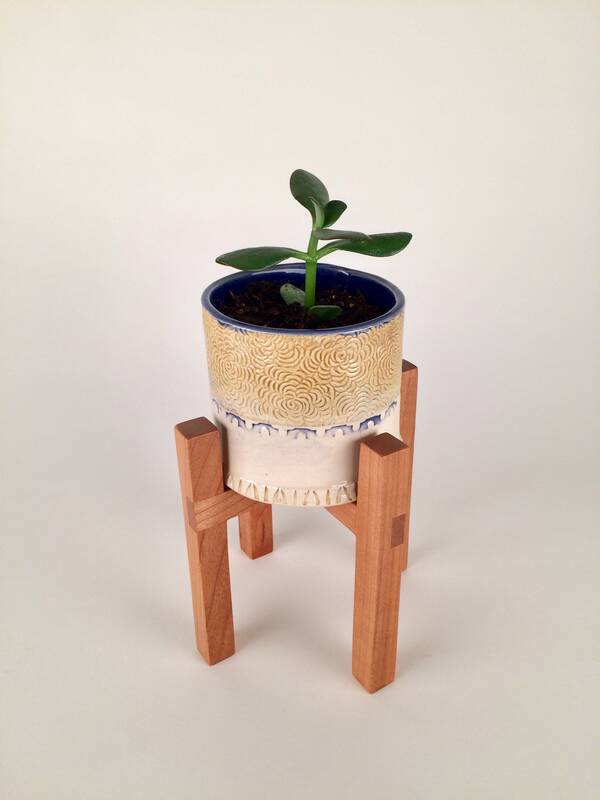 Super cute, unique planter set with collapsible solid cherry wood plant stand, perfect for the garden lover in your life. Just line the bottom with gravel for drainage and plant away. 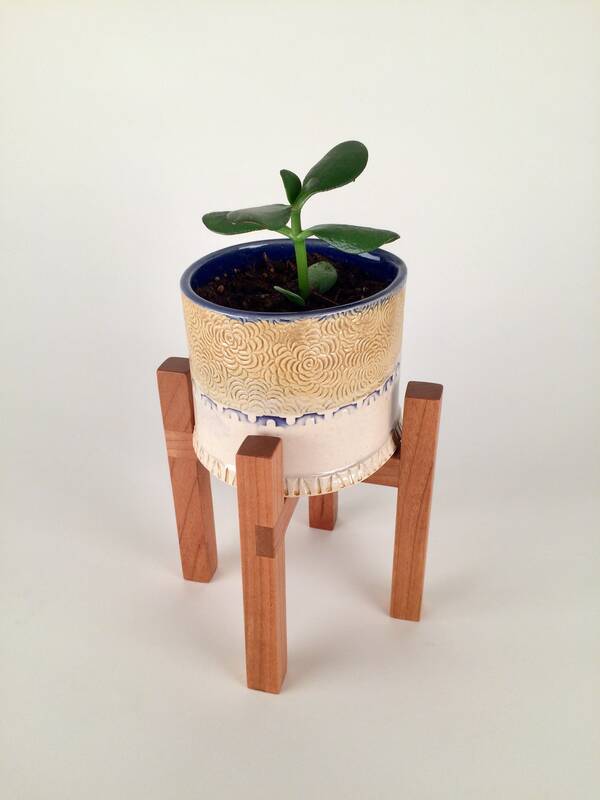 This planter is hand sculpted of stoneware and measures about 4" x 4 1/2" x 3 1/2" and includes a cherry wood stand. 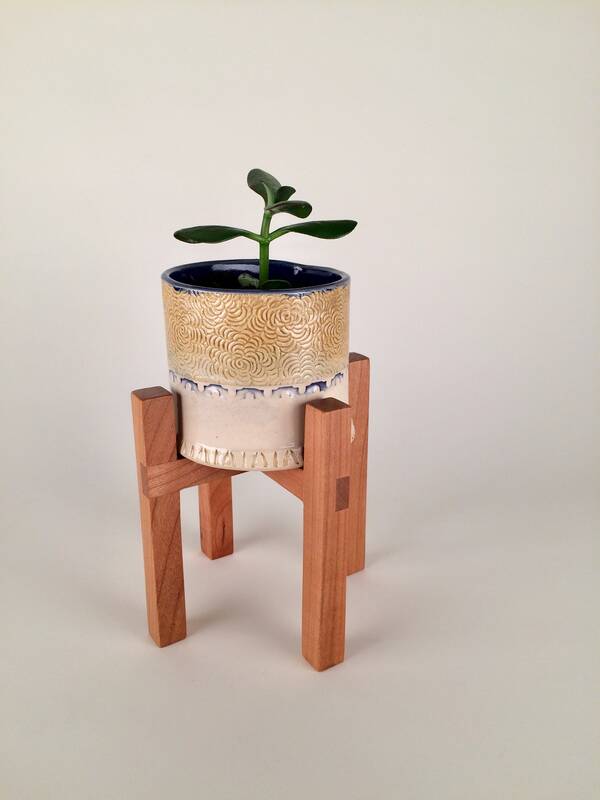 Each piece is handcrafted of a white stoneware clay, using textured slabs to create each unique form. 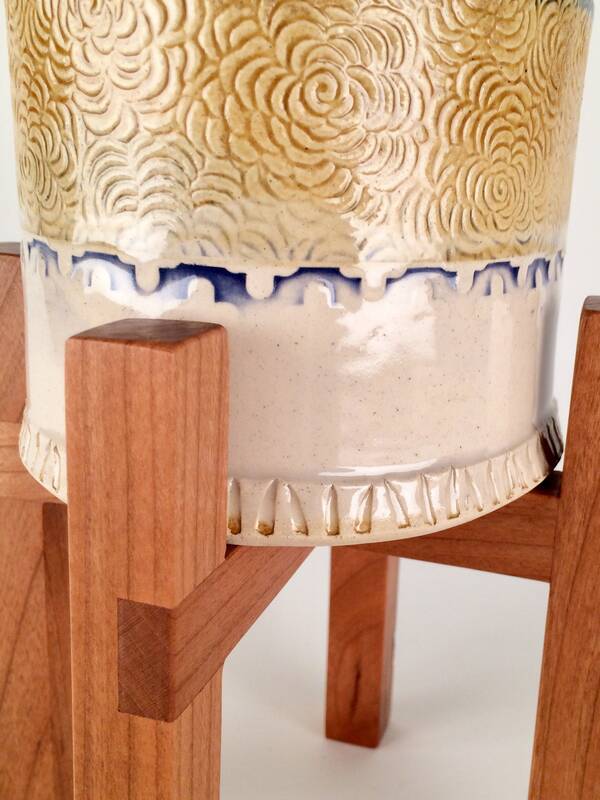 The decorative basket is then hand painted with glaze and fired to a high temperature. 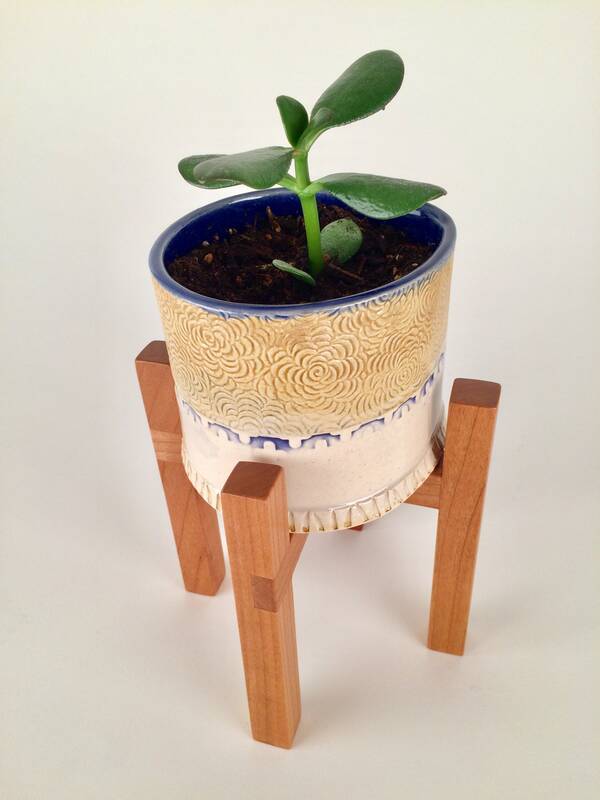 My husband has partnered with me to create these wonderful wood plant stands. 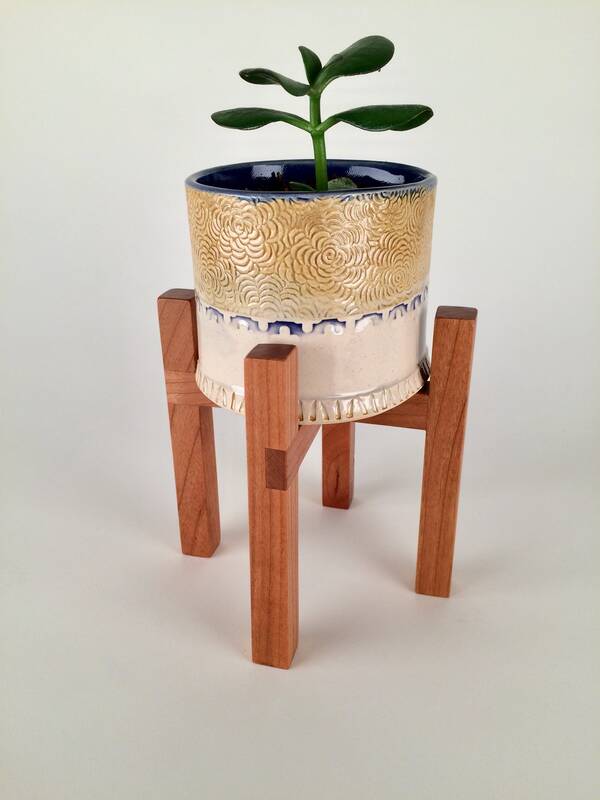 He is an amazing wood worker. 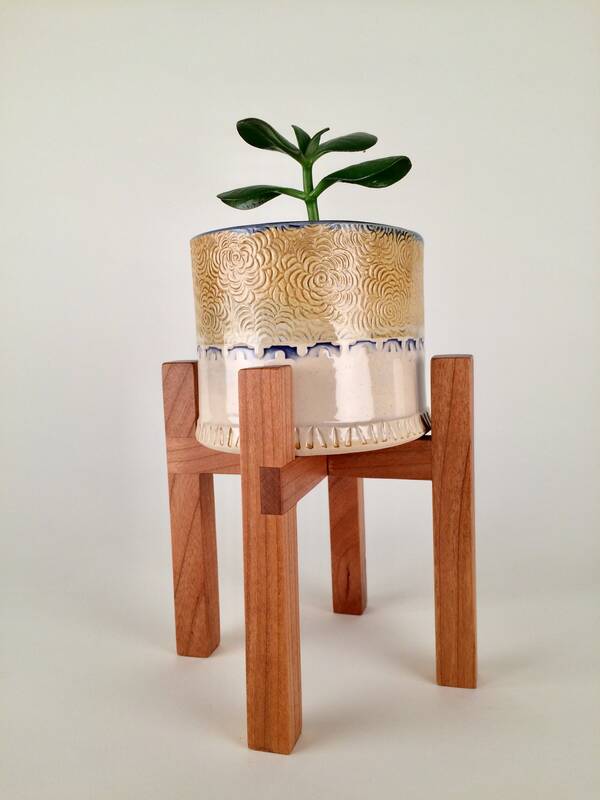 It has been a dream to collaborate my ceramic pieces with his wood work. The listing does not include succulents. Thank you for looking and if you have any questions please send me a convo! !